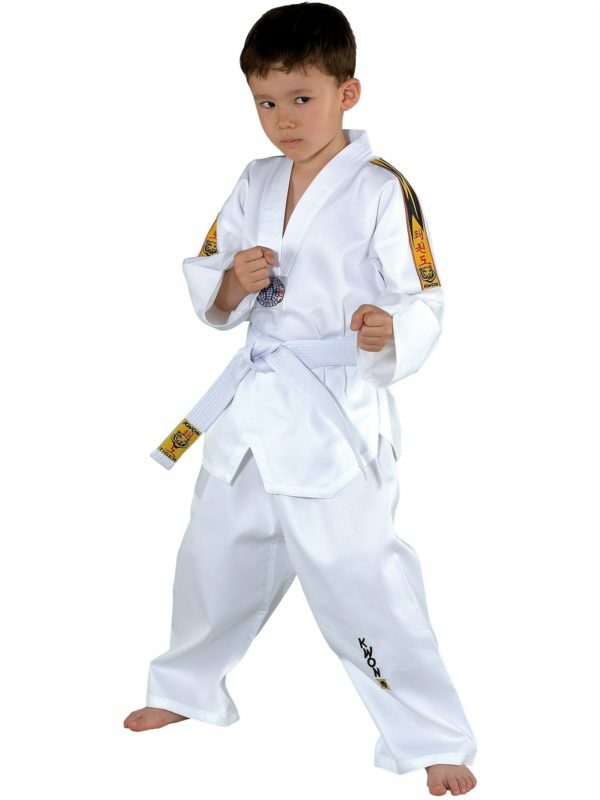 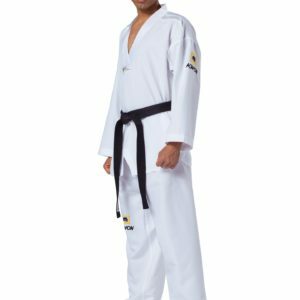 Taekwondo suit with visually appealing shoulder stripes, specially developed for youth and juniors in a 65% polyester / 35% cotton blend. 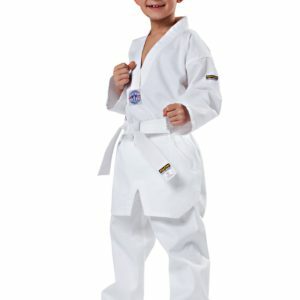 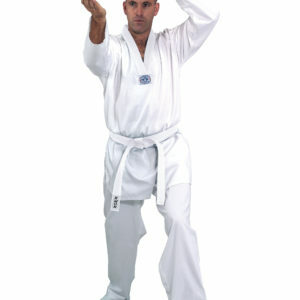 Tiger logo proudly displayed on the included white belt as well as below the hip on the pants. 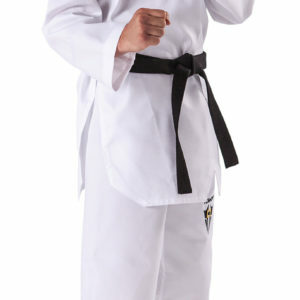 Available exclusively with the white V-neck.